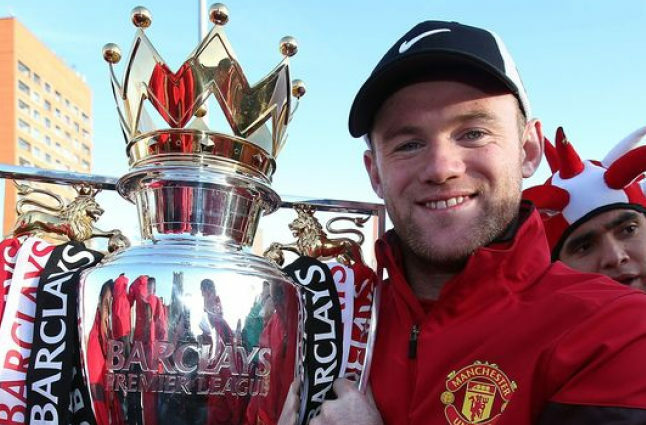 Wayne Rooney holding the Premier League trophy aloft. Credit @pinterest.com. Recently, Manchester United hosted Reading in the FA Cup and, whilst the Premier League side continued their quest to retain their trophy after the 4-0 result, the match seemed to be most notable for another reason; Wayne Rooney scored the opening goal in the tie, becoming the joint top scorer for Manchester United in the process, equal to Sir Bobby Charlton on 249 goals. Yet, perhaps most importantly, Rooney achieved this feat in 543 games, resulting in an average return of 0.46 goals a game, superior to Charlton; as such, Rooney’s accomplishment seems to be all the more notable, and perhaps this honour may motivate him to earn further records both domestically and internationally. After a run of eight games since the beginning of December, the FA Cup tie seemed to signal an opportunity for José Mourinho to start players featuring more regularly from the bench. Rooney seems to be one of them, following the consistent form of Zlatan Ibrahimovic, who has scored 18 goals since his arrival on a Bosman. Yet, the Englishman seemed to play at a high standard, perhaps aiming to prove to his manager he deserved to be reinstated to the starting eleven. 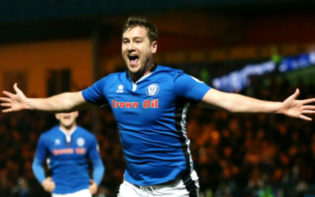 His record-equalling goal may earn further plaudits due to its timing, as by scoring within seven minutes he seemed to instigate his side’s victory, perhaps elevating his teammate’s performance levels as United continued their quest for the final. In addition, Rooney’s goal seemed to act as the catalyst in José Mourinho achieving his longest winning run since 2006, and as such this may be further motivation for the manager to keep including his captain. After making his debut with Everton at the age of sixteen, Rooney went on to score the winner against then Premiership champions Arsenal, and perhaps this was the moment he announced himself in English football. He eventually moved to Manchester United for £25.6 million, a record fee for a teenager, and seemingly took the added pressure in his stride, scoring a hat-trick on his debut. 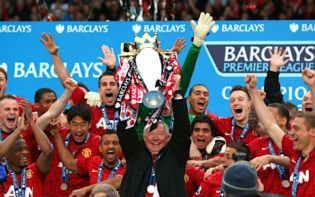 Ultimately, at United he has won five Premier League titles, along with an FA Cup and a Champions League, and seems to also have been recognised, and rewarded, for his individual contributions, earning a spot in three Premiership Team of the Years, perhaps predominantly due to his placing in second in the all-time EPL top scorer’s charts. As such, he seems to have won the clean sweep in Manchester, and, whilst young English players may wish to replicate his current achievements, there still may be further records for Rooney to own. 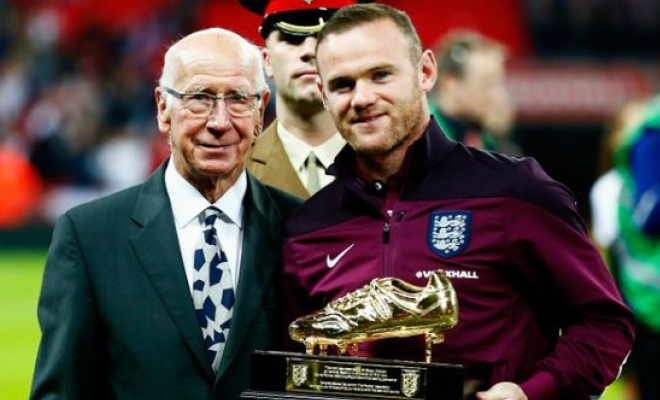 Wayne Rooney presented with his England top scorer award from previous holder Sir Bobby Charlton. Credit @pinterest.com. At an international level, Rooney seems to have replicated his domestic form, seemingly playing at his peak abilities most often during qualifiers. Whilst perhaps having achieved more at club level than internationally, Rooney seems to still boast an expansive repertoire of achievements, including becoming the youngest player to represent the Three Lions versus Australia, and ultimately earning perhaps the pinnacle of international football; captaining his country. 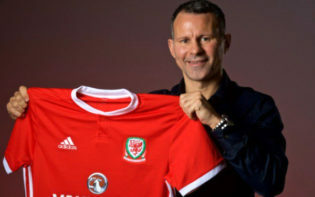 Yet, perhaps his crowning glory may be his goal scoring record with England, netting 53 goals during his tenure, with the record 50th coming from the penalty spot versus Switzerland. As such, Rooney possesses both the England and Manchester United records, and with both of these accomplishments, in addition to the others in his repertoire, perhaps his legacy has been enhanced further. Manchester United next host Liverpool, in a tie which may be of increased importance due to the desire of both clubs to challenge for both European qualification, and ultimately the title. This game may also provide Mourinho with a dilemma of whether to include his captain, as he seems to be in a purple patch of form, and may warrant another start. As such, Rooney’s short-term goal may be reinstatement in the starting eleven, and in order to do this may need to continue his goal scoring exploits; yet, long-term, he may aim to surpass other records, including becoming England’s most capped outfield player. Ultimately, whatever Rooney’s aims, it seems to be clear his consistency has enabled him to earn multiple trophies, perhaps contributing to the suggestion he may be amongst the most accomplished players in history. Which other records may Rooney now aim to surpass in the rest of his career?